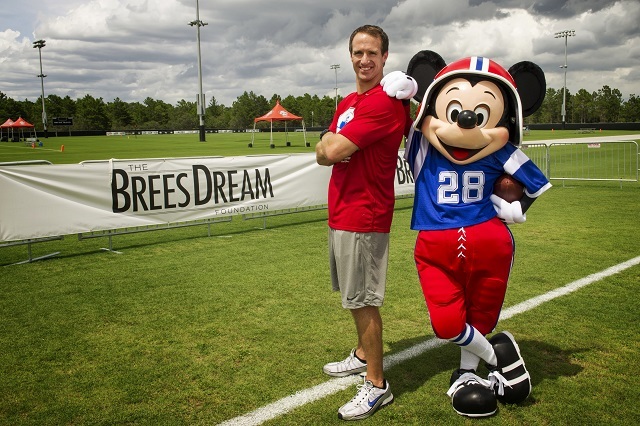 The NFL and Disney have a solid relationship. You might not know this, particularly if you’re somehow unaware that ESPN, which is very much essential to the National Football League’s continued hold on its countrywide popularity, is owned by Disney. And if you didn’t know that, now you did, and it turns out that Mickey and friends are behind the machine that birthed Skip Bayless, Bill Simmons, Stephen A. Smith, and all the other noisemakers. It’s all right to be a little upset by that. We don’t blame you. When most people think of Disney, though, they think of Disney movies. The animated films that give the company it’s sustained public identity that gave them a foothold in the imaginations and childhoods of people everywhere. So, naturally, when it came to our attention that an artist had depicted every NFL franchise’s team logo with characters from classic Disney films, we pounced on it. Here are the seven best, as well as a link to the rest after the jump. 7. Minnesota Vikings Combining Goofy and the Vikings is something that self-aware Minnesota fans have been doing for years, and the Disney character who made his name off of a fumbling nature is a perfect fit for a team that’s struggled to maintain a semblance of decency despite being very likable (particularly before the Peterson scandal). While Mulan may not have the same kind of classic cache as some of the other films and characters featured on this list, Mushu the Dragon’s resemblance to the typical Chargers bolt is positively uncanny. On the surface, you might think that the Lion King character Zazu and the Seattle Seahawks have nothing in common. In practice, however, it becomes incredibly clear that this logo is the best logo that the reigning Super Bowl champions could have, and that they aught to change it to this right away and never look back. Agreed? We thought so. So this one doesn’t require too much of a stretch — Dusty Crophopper is a Jet, the Jets are Jets, and look at that — it just places on this list because it’s really, really well done. You could imagine this image being licensed and sold as a children’s shirt for Jets fans. You can make your own scathing remark about parents who raise their kids to be Jets fans. 3. Dallas Cowboys Another fairly obvious switch, in that the Cowboys getting a Cowboy is about as shocking as Jerry Jones doing something that makes the fans sad and everyone raise questions, but this is another image with tremendous crossover potential. And, for the record, Buzz Lightyear makes an appearance in the full set, too. We’ll let you guess which team he landed on for now. OK, so on the surface Monsters, Inc. and the Houston Texans have very little to do with each other, but the image is so perfect that you’re never going to be able to look at the original Houston logo and see anything else. Go ahead, try it. We’ll wait. Look at how much better this one is. Because The Sword in the Stone is the best, full stop. If you want to check out logos for all the other NFL Teams (as well as a whole host of similarly themed sports mashups), be sure to check out the artist’s Instagram page here.